Thirty lives were saved from drowning in 16 separate incidents thanks to the brave actions of rescuers who will receive recognition at Irish Water Safety’s National Annual Awards Ceremony at the Hibernia Conference Centre, Dublin Castle on Wednesday 29th November 2017. Long-Service Volunteer Awards will also be presented to 43 volunteers, recognising a combined total of 895 years of personal service teaching swimming, water rescue and survival skills in communities nationwide. On the 4th of July 2017, at Smerwick harbour, both Cathal & Edward were returning to shore after a day’s fishing when Cathal noticed a kayak with nobody on board. They went to investigate further and spotted a man floating unconscious in the water beside the kayak. 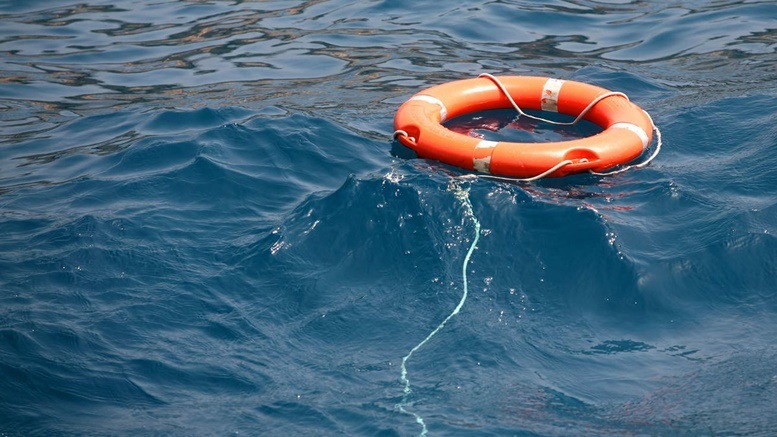 They hauled him on board their own boat and immediately began CPR. They alerted emergency services and continued CPR until the ambulance service arrived and took over. The man made a full recovery. On the 18th of June 2017, Bernard and Roisin Cahill were driving home from work when they noticed two people swimming towards what they recognised to be a dangerous rip current. They stopped their car and rushed to the beach where they persuaded a member of the public to give them a kayak. Bernard used the kayak to approach one of the people now in difficulty. Roisin encouraged the other swimmer to safety before swimming to assist Bernard to bring the struggling swimmer safely to shore. On the 18th of June 2017, Sean and David Slattery were having lunch near the Quays in Youghal when they were alerted that a fourteen year old boy was in danger of drowning. Both Sean and David rushed to the scene and entered the water to search for the boy. Visibility was very poor and it took a few minutes to locate him. They managed to find him and bring him up to the surface and out of the water. The boy was unresponsive. They performed CPR successfully and Emergency services took the young boy to hospital where he made a full recovery. On the 17th of July 2017, at Killykeen Lake, Dean became alerted to a family in difficulty in the water. He immediately entered the water, swam to two children and brought them back safely to shore. He then swam back out to a woman who was now weak and in danger of drowning. He reached her and managed to bring her to the surface. It was only after successfully bringing her back to shore that he realised that there was another child clinging onto its mother. Thanks to the quick thinking of Dean, a major tragedy was averted. On the 16th of November 2016, at the River Barrow, Eoin heard a man shouting and ran to the waterside where he observed a car in the water. Eoin swam out to the car which was in fast flowing water and drifting downstream. Upon reaching the car, Eoin grabbed the driver by the hand. He placed his two feet on the driver’s door and managed to pull the driver out of the car through the open window at which point the car sank. Eoin then helped the person to the safety of a boat. The casualty made a full recovery. On the 18th of September 2017, Des had just parked his car when he heard screams coming from a park at Arthurs Quay. He immediately ran towards the calls for help and noticed two people in the water. One of the casualties was unresponsive and the other was holding onto a ringbuoy. Des asked people nearby to alert emergency services. He entered the water and brought the first casualty to the riverbank where he instructed people to keep the casualty afloat while they awaited emergency services. In the meantime, Des got back into the water to rescue the second person by supporting her head and keeping her afloat. With the assistance of a rowing boat Des helped the fire bridge unit and rowers to haul the casualty into the boat where Des immediately began CPR. In due course the fire brigade rescue boat arrived at the scene at which point the casualty was transferred over and brought to awaiting paramedics. The woman was taken to hospital where she made a full recovery. On the 24th of July 2017, two young girls were caught in a rip current at Ballybunion beach in Kerry. The father of one of the girls entered the water to try to bring them to safety but he became exhausted and also got into difficulty. Alan O’Donnell, an off-duty Garda, entered the water where he first saved the children’s father before quickly swimming a further fifteen yards to bring the first young girl to safety after which Alan swam back out to save the second girl. All three made a full recovery. On the night of the 30th of November 2016, Gardai received a call that a man had entered the canal. The three Gardai immediately went to the scene and observed the person face down in the water. The Gardai proceeded to stand at the edge of the canal and form a link so as to reach down to the person and drag him from the water onto the canal bank where they rendered medical assistance until the ambulance arrived. On the 8th of August 2016, Gardai received a call that a person was in difficulty in the water at New Quay. Gardai Brian Batt and Brendan Ryan rushed to the scene where they observed a person floating face down in the water. Both Gardai entered the river, waded out fifteen feet, pulled the man out of the water and brought him to their Garda patrol car where Garda Batt began chest compressions while Garda Ryan drove towards the hospital. They were met by an ambulance crew en route. The man made a full recovery. On the evening of Sunday the 18th of February 2007, Gardai Stephen Bolger and Joseph Waldron received a call regarding a person in danger of drowning at the beach in Bray, Co. Wicklow. Upon reaching the beach they spotted the person and entered the water where they battled extreme cold and strong undercurrents to pull the person to safety. On the 24th of October 2015, Corporal Mark Buckley was walking towards O’Connell Bridge in Dublin when he noticed a man in the water. Mark grabbed a nearby ringbuoy and climbed onto the bridge ledge where he lowered the lifebuoy down to the person in difficulty. Mark instructed the casualty to take hold of the ringbuoy and kept him calm until emergency services arrived to the scene. On the 22nd of July 2017, Garda Michelle Power was driving along by the River Suir when she noticed a man in difficulty in the water. She immediately left her car and ran to the quay side where she grabbed a ringbuoy and used it to successfully bring the man to safety. On the 22nd of January 2017, a trip to feed the ducks almost ended in tragedy for toddler Max. While feeding ducks Max fell through the railings and into very cold water. His uncle heard the splash and immediately entered the water as the current took young Max away. He grabbed the toddler by the jacket while keeping them both afloat which gave the toddler’s grandfather enough time to pull the young boy to safety. Meanwhile, the rescuers son Michael aged 5 at the time started shouting out for help. A man heard the shouts from his nearby apartment and ran to the scene with warm clothing before bringing everyone to his apartment to await a doctor. Max made a full recovery. On the 23rd of May 2017, Joseph Middleton heard a boy by the name of Garry Maddock call out to him for help. Joseph observed that Garry was in a dingy and in the process of trying to haul a man out of the water at Carlow town park. Joseph rushed to join Garry in the dinghy and both of them managed to drag the drowning man from the water. They sat the man up and pushed on his chest. The man started gasping and coming around, much to their relief. Emergency services arrived on the scene and the man was taken to hospital where he made a full recovery. On the 15th of July 2017, a group of nine teenagers entered the water to cool down unaware of dangerous rip currents. Within minutes they all got into difficulty. The alarm was raised by members of the public who contacted the coast guard. In the meantime, four local surf instructors who happened to be giving lessons at Tullan Strand quickly intervened. All four paddled to the group in difficulty, and prompted each of the teenagers to grab onto surfboards one by one. They used their knowledge of the currents to assist them to paddle over to a safer area where they could walk ashore. Each instructor returned a number of times until all nine of the teenagers were brought to safety. Thanks to the quick thinking of Owen, Fergal, Friedericke and Sean, a major tragedy was averted. On the 6th of August 2017, Garda Stephen Fahy received a call that a man had entered the water at the Garavogue River. He went to the river and noticed that a large crowd had gathered on the bridge. Both Garda Fahy and Adam McGoldrick entered the water and swam out approximately 30 meters to the man. Adam brought a ringbuoy with him. Garda James Conneely got into a small boat that was along the riverbank and with one ore made his way up the river towards Garda Fahy and Adam to assist in the rescue. They brought the casualty to shallower water and then up onto a nearby embankment where the man was taken to hospital and treated for hypothermia.